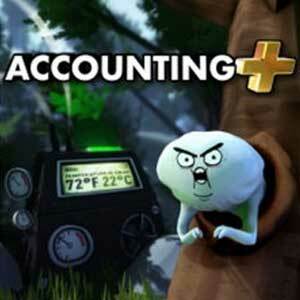 Find all Steam Key stores and prices to download Accounting+ and play at the best price. Save time and money, compare CD Key stores. Activate the Accounting+ CD Key on your Steam client to download the game and play in multiplayer. Enjoy the best deals to buy Accounting+ CD Key with Allkeyshop.com! There are 5 offers ranging from 8.62€ to 54.69€. EUROPEAN STEAM GIFT : It’s a steam gift for Europe which requires an European IP address to activate and to play Accounting+ on Steam. Read carefully the store description about region and language restrictions. STEAM CD KEY : Use the Steam Key Code on Steam Platform to download and play Accounting+. You must login to your Steam Account or create one for free. Download the (Steam Client HERE). Then once you login, click Add a Game (located in the bottom Left corner) -> Activate a Product on Steam. There type in your CD Key and the game will be activated and added to your Steam account game library. STEAM GIFT : A Steam gift is a one-time transfer you receive. You activate and install Accounting+ to play on Steam, it is a non-refundable game that stays in your Steam games collection. Please read the store description about any language or region restrictions.